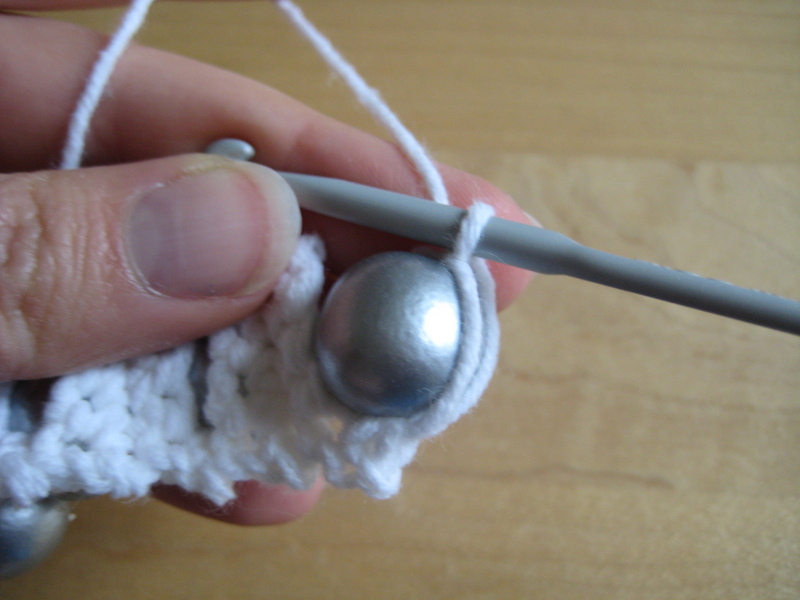 I used a 4mm hook, leftover Sirdar calico Dk cotton yarn, and eight 10mm beads. See my inspiration for this piece here! 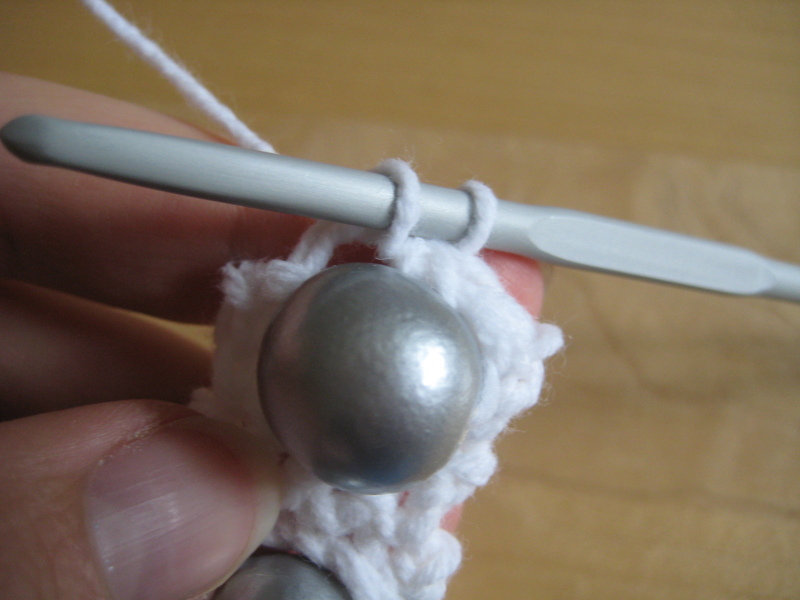 The pattern is worked as fsc to make the sides and then turned 90° to sc the V-shaped placket which holds the beads. 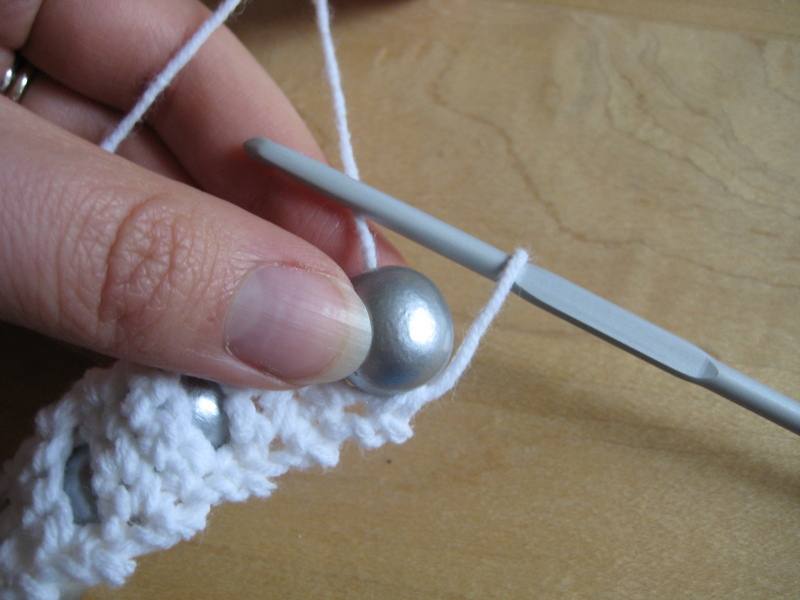 The length of the placket is about 9cm (3.5 inches). 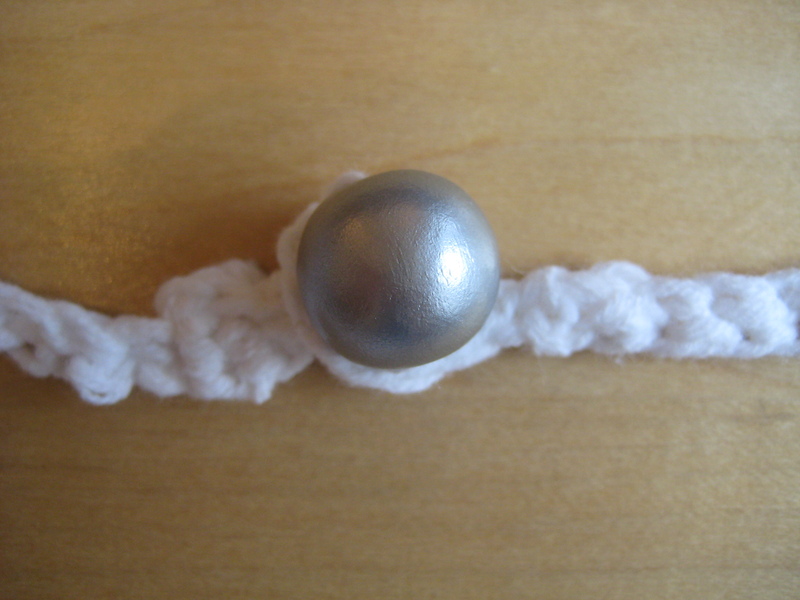 Thread the beads onto the cotton and chain 10 (or however many fits your size of bead) and join with a slip stitch to make a ring fastening. Row 35: rotate piece and sc into the top of the first fsc, sc into second fsc, slip stitch into 3rd fsc and fasten off. Weave in all ends. Block piece as desired. 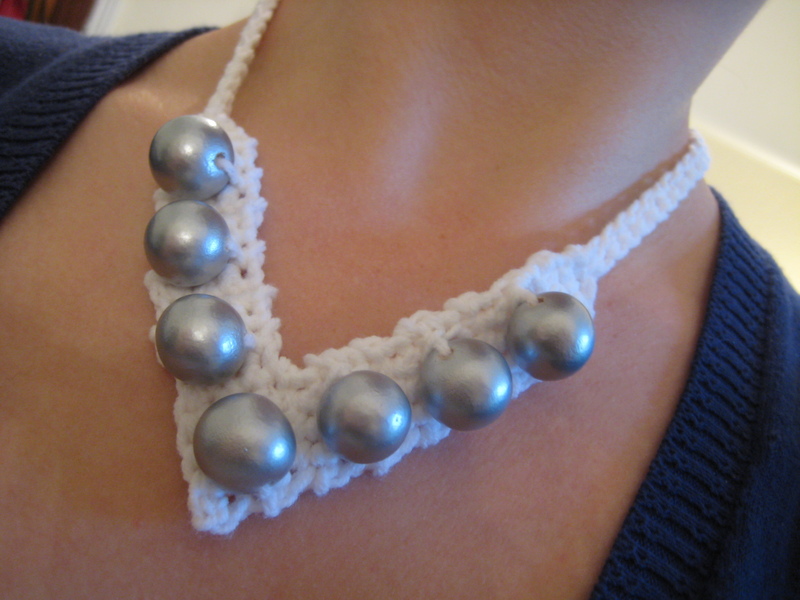 I pinned mine out so that the V became pointier but if you are going for more of a choker style you may want to stretch it the other way. 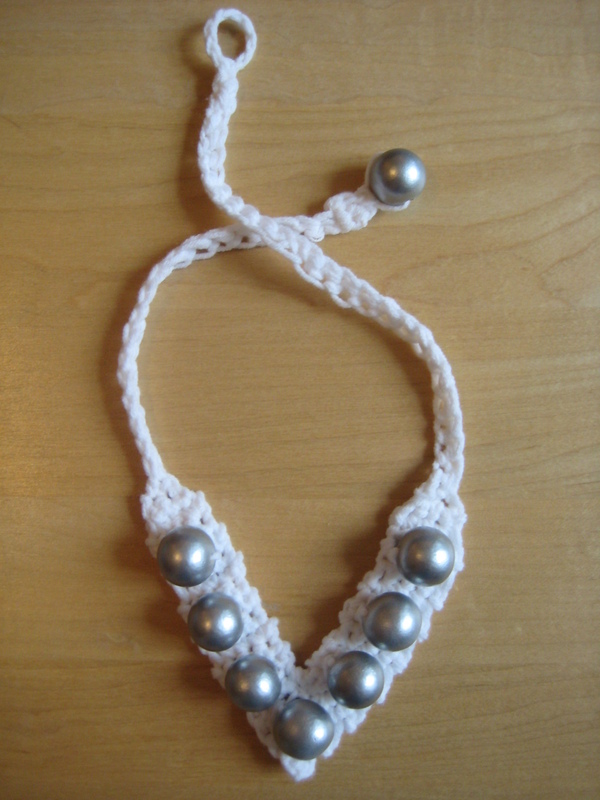 I am not sure the ending of this pattern was the neatest but I was paranoid about losing the last bead which will get tugged on when I wear it so wanted to have something to weave the end into firmly. If anyone has any better suggestions please let me know! Great ‘how to make’ blog!!! I gotta do the same! !